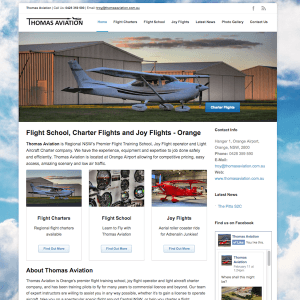 Troy employed the services of one his flight students to photograph his great range of planes to really make the website appealing. The website was launched and through brochure promotion, Facebook and a car & trailer signage – the website has been a big hit. 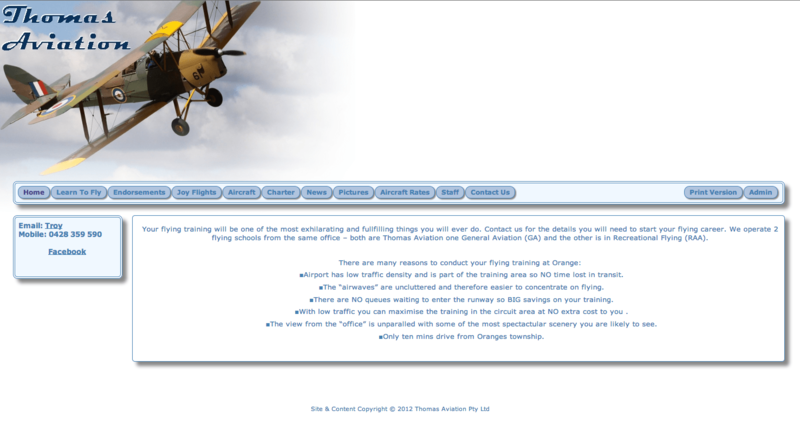 The website has been search optimised the right visitors and attracting new clients for the Flight School, Joy Flights and Charters.